This cheer bow is red, white and blue on this satin ribbon. The center is wrapped with a red grosgrain ribbon. 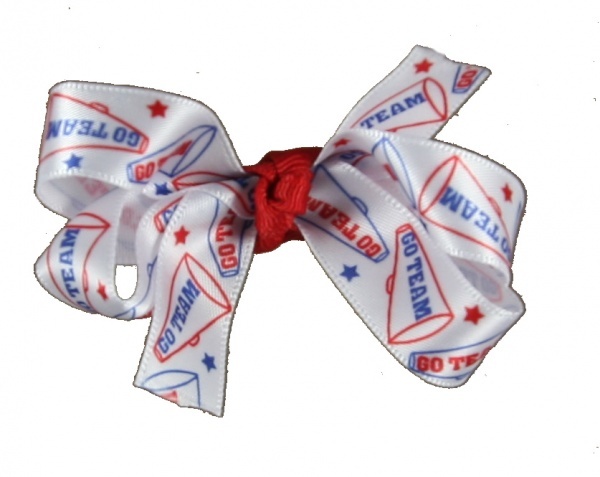 The satin ribbon has megaphones and stars on all with the words "GO TEAM". This is a great spirit ribbon!